In our last blog post, we went over what to consider before letting out or renting your property. In this blog post we cover a landlords legal, as well as a few personally recommend non-legal, obligations before taking in tenants. On 1st February 2016, the Right to Rent scheme became affective across the UK. This scheme requires landlords to check that the tenants have the legal right to rent property in the UK. When you let out a property with a tenant, make sure you use the correct tenancy agreement. There are two types of tenancy agreements commonly used by landlords; Assured Shorthold Tenancy Agreement (AST) and Assured Shorthold Tenancy Agreement (Room Only). Assured Shorthold Tenancy Agreement (AST) is used when you are letting out your rental house or flat as a whole to one household (family, group of students, or professional tenants). Assured Shorthold Tenancy Agreement (Room Only) is used when you are letting out individual rooms of your rental property, also known as HMO. The law describes the rule as; if there are multiple tenants who are not of the same family or household, then it may be classified as a HMO. Furthermore, if multiple tenants are living there, forming more than one household and are sharing facilities such as toilet, bathroom or kitchen, then it’s a HMO or individual Room Let. An HMO let is likely the most profitable or best return on investment set-up a landlord can do, but there are some rules and regulations to it you must follow. If you take a security deposit in an AST agreement, you are legally obligated to protect it in a government-backed tenancy deposit protection (TDP) scheme. You must have the deposits protected within 30 days to avoid a fine of up to 3 times the deposit amount. Tenants will need a copy of the deposit registration, as well as the prescribed information about their deposit protection. Please note: landlords can’t serve a Section 21 Notice if the deposit isn’t protected. 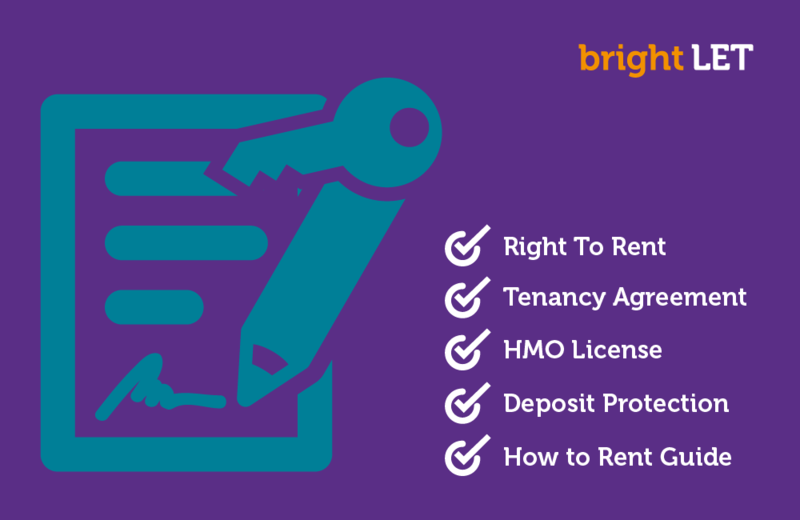 This guide will help tenants understand what their rights and responsibilities are. Again, landlords can’t serve a Section 21 Notice if the deposit isn’t protected. If you are receiving rent from your property you have to pay tax. Furthermore, Landlords must pay a Class 2 National Insurance if profits are over £5,965 a year. Does your tenant have the ability to pay their rent on time? It’s worthwhile to do a good reference check into their affordability, employability, credit history and previous landlord references. Some Landlords are also requesting guarantors on a tenancy. As a Landlord you do not want to be in rent void periods. An inventory check at the beginning and end of a tenancy agreement is essential for getting funds from the deposit. If a tenant disagrees with your deductions, you will not be able to claim anything without a signed inventory. Note: Make sure to take meter readings so tenants know what they will have to pay and you won’t be left with outstanding payments. It will make your life easier to transfer any utility suppliers to the new tenant. This way any utilities tenants use will be billed to them, and they will be held responsible for any outstanding payments. If there is an emergency and you can’t be reached, make sure you give your tenants an emergency contact number. We hope this checklist will make your and your tenants lives a little bit easier. If you follow each step, your lettings should be smooth sailing and help you with a profitable buy-to-let business. We’re always looking forward to your feedback so please let us know if you have any questions or comments.